Healthy doesn't have to be boring. You'd be surprised how even small steps make you feel great. Everyone needs a place to connect. The impacts of health and wellness on the individual and family is astounding. 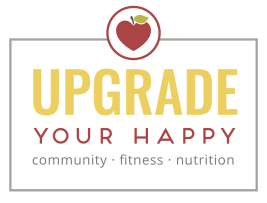 Upgrade Your Happy is a place to build positive community that builds people up and drive education. Learn more and get involved. Our clubs are fun and designed to emphasize that exercise is a part of life. GOOFY is our youth fitness arm but we are creating clubs for adults too! Do you have a passion for writing or a knack for entertaining? We are the heart of the parent resource. The village is a group of contributors that keep things interesting so that together we thrive WITH our followers. We all have magic powers we can share to help build people up. You'd be surprised at what a huge difference a little bit of your time can make.